In keeping with our theme of continuous improvement, the Solar Vision staff maintains healthy lifestyles. The ladies of Solar Vision run marathons. Their most recent conquest was the St. Patrick's Marathon this year in downtown Denver. The guys also work on healthy living by doing cross training in the morning before they begin their day. Heath does mountain biking and the family does snowboarding and hiking. They climb 14ers. Addie has taken snowboarding lessons this year. David rides his bike and I have gotten a new exercise machine though I must admit it is still in the box. Flat Stanley visited Solar Vision this week from Lafayette, Tennessee. Flat Stanley is an elementary school project. An avatar of a student visits different places around the country. Pictures are taken of him. The students find out what life is like in that part of the country. 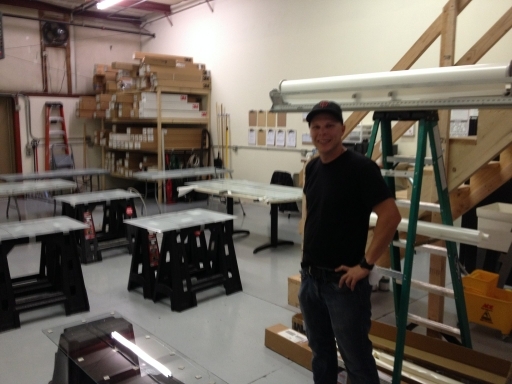 Flat Stanley visited Denver and one day he job shadowed the guys at Solar Vision. He found that when they arrive they check the job board, gather the materials they need, and organize them in the truck. Then they are off to the jobs. Sometimes they have one big job and sometimes they go to different locations. This particular day they applied film to a home, a small business, and a hospital. A pilates class is being offered at Solar Vision for employees and their families on Tuesdays and Thursdays from 11:00-12:00. Join us in getting healthier. Lucinda Costello is Solar Vision's new operations manager. Lucinda is our day-to-day organizational, logistical, and operational manager. She keeps Solar Vision Inc. on-time and ensures that we have all the 3M products ready and available to complete our customers' jobs. 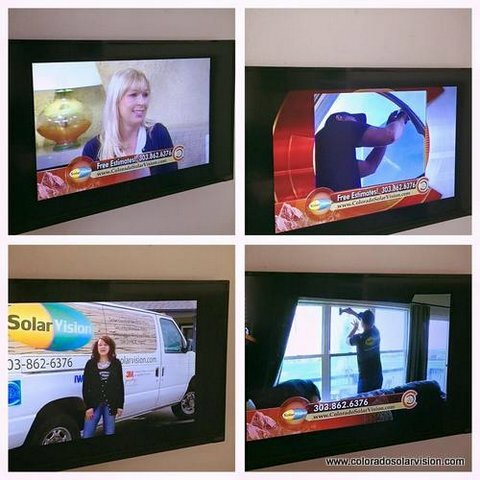 When you call Solar Vision, she is most likely the person you will talk to. Prior to her Solar Vision career, Lucinda worked in many facets of warehouse and office management and sales. Lucinda has lived all over the U.S. including San Francisco, Florida and Wyoming. Her family settled in Colorado and she attended high school in Denver. Her favorite vacation trip was to Thailand where she was able to experience a very different culture and beauty. 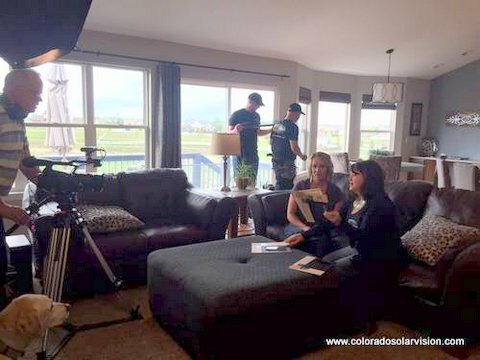 Aside from working full-time at Solar Vision Inc., Lucinda has a 2 year old to keep her busy. 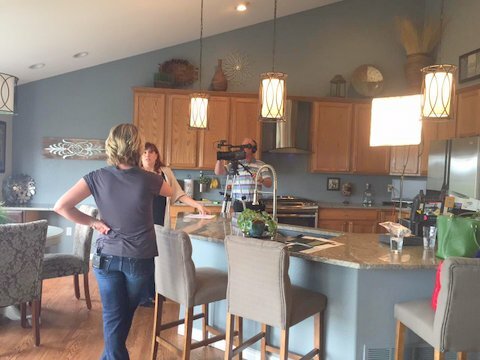 She enjoys keeping a beautiful home for her husband, son, and step-daughter. Her tastes run on a traditional line and she likes to try new things. Lucinda would like to try learning upholstery and she has mentioned learning to quilt as well. She doesn't really enjoy cooking. When she does it, she does it well. 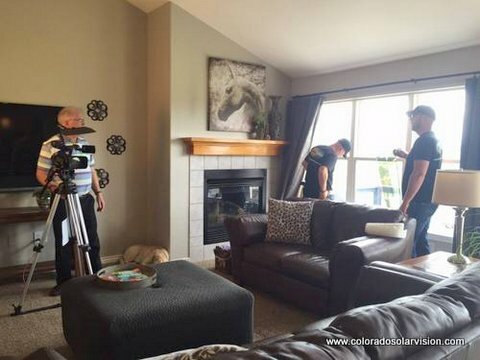 Lucinda is a big fan of window film and has used and is planning to use the film on several projects in her home to add privacy and beauty as well as for sun and glare control. Lucinda and her husband, Josh, volunteer working with the youth in their church. They realize the importance of teens having an adult that they can connect with and for them to have an adult to be a positive influence in their lives. 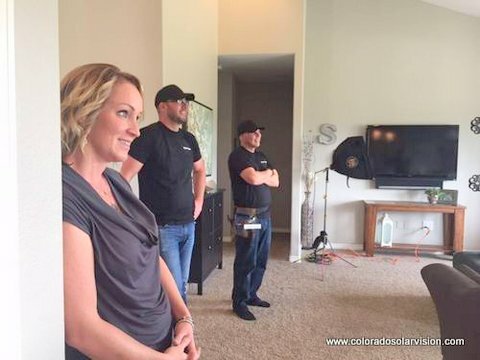 Solar Vision is so fortunate to have Lucinda be part of their team. At Solar Vision's Annual Meeting, past successes were celebrated and plans for future growth were made. 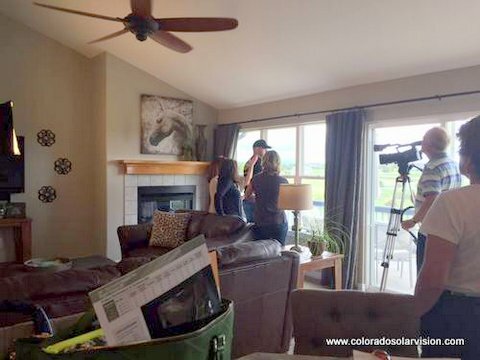 Solar Vision exceeded their goals this past year in window film sales. 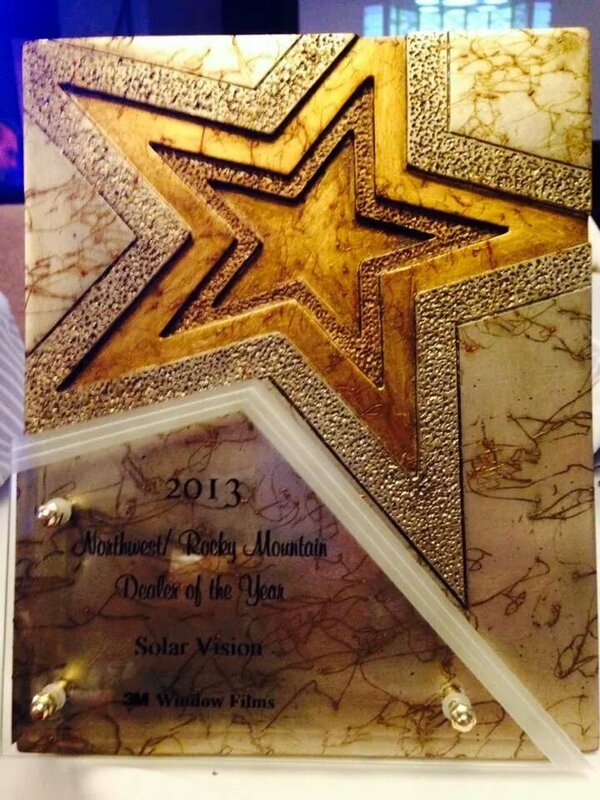 The 3M Dealer of the Year was received for the Rocky Mountain and Northwest Regions. Goals for the 2014 were discussed and shared with the Solar Vision team. In the afternoon, Brent Kube led a seminar on Continuous Improvement. Brent is a small business consultant and a mechanical engineer for a large machinery manufacturer. His expertise is in lean manufacturing which means that operations should be cost effective and efficient to make things run smoother and to ultimately be more profitable. This also means that Solar Vision is constantly aware of energy efficiency. Continuous Improvement is based on making many small changes. The ideas for improvement come from the workers. All employees continually seek ways to improve their own performance. Employees make suggestions on how things can run smoother and more efficiently. When employees know that their ideas are valued, they take ownership in the company which makes workers highly motivated and satisfied with their job. The end result is that everyone makes more money. As a part of the seminar, brainstorming activities were carried out by Heath and Shelley. Everyone seemed to have a clear vision of the future and strategies and systems are being put in place to meet our goals. The Continuous Improvement business strategy is a good fit for Solar Vision because of our clear goals, respect in the workplace, environment management, and progressive view of business operation in the 21st Century.